HON or POS? Is Dakota County MN suspending the Rule of Law in the Sandra Grazzini-Rucki matter? This writer’s followers on Twitter and other Social Media are familiar with his intention of uniting rank and file Americans under one common Perspective of Reality. A Perspective of reality far truer than the false Perspective of Reality promoted through the divisive propaganda of the Main Stream Media and the two faux major political parties. With this article, this writer intends to build upon creating that truer, common Perspective of Reality so WE THE PEOPLE can unite against our government and hold our government officials accountable for their departures from the Rule of Law (aka Abuse of Power and/or Abuse of Discretion) and betrayals of the best interests of WE THE PEOPLE. Yesterday morning this writer went to the continuing trial of Sandra Grazzini Rucki in Dakota County MN on various criminal charges relating to allegedly wrongfully depriving her ex husband, David Rucki, of parental rights, etc. Sandra Grazzini-Rucki’s well-founded and well-recognized affirmative defense is that she was acting to protect her children from what she reasonably believed was danger from their father. Sandra Grazzini-Rucki numerous times went to the appropriate channels to seek the safety of her children, and resorted to helping the girls escape their allegedly abusive father only when the police, the courts and Child Protective Services (CPS) failed her. From this writer’s experience with the Judicial TAR Movement, this writer has learned nuances of the legal profession that most Americans are unaware of. Add to this, this writer’s own experience in his personal civil litigation and 1 bogus criminal charge (eventually dismissed for lack of Probable Cause), and this writer asserts that he is uniquely qualified to understand how our Courts fix the outcomes of Court cases and educate his fellow rank and file citizens of the true nature of their government and courts. This writer has written previously on the Sandra Grazzini-Rucki Matter in Dakota County Minnesota, but your government has seen fit to scrub those articles from the internet. (Main Stream Media (MSM) has seen fit to not publish this writer’s previous articles on the Sandra Grazzini-Rucki matter.) In total, almost 200 of this writer’s blogs and several hundred of his posts and articles have been scrubbed from the Internet. One gets the sense that our government and courts don’t want rank and file Americans to have the information about their corruption, machinations and duplicity that this writer exposes. Yet, rather than try to recreate and reassert all the facts from those censored articles, this writer is going to focus on the mechanics of various allegations of how the Dakota County MN Courts are trying to fix the outcome of the Sandra Grazzini-Rucki litigation from a succinct, common sense legal perspective. (Fellow Minnesotan, Tim Kinley has a much better knowledge of the all the particular facts in the related previous matters under Judge David Knutson and underlying facts and minutia of the Dakota County MN Court departures from the Rule the Rule (aka Abuse of Power and/or Abuse of Discretion) under Judge Karen Asphaug which have led to this trial of Sandra Grazzini-Rucki – His Youtube Channel http://bit.ly/SpeechlessMN) This article is written more from a macro-overview and general mechanics perspective. citizens without regard to status, wealth or government position. The Court did/is engaging in fact shaping. Now, as a member of the press, this writer went to the trial yesterday with the specific purpose of ascertaining if any of these allegations were true. This writer was denied the opportunity to make said inquiries. At the noon lunch break, as Prosecutor Kathryn M. Keena walked by where this writer was seated in the Courtroom gallery, this writer took the opportunity to shake her hand and introduce himself as a member of the Press and a member of the Judicial TAR Movement. Ms. Kathryn M. Keena continued toward the door as this writer began to ask her questions about the allegations. With the rudeness and arrogance of those Progressives who think they are better than all the rest of us (http://bit.ly/1mvmoB3), Ms. Kathryn M. Keena continued into a conference room without even the professional courtesy of saying she did not want to hear what this writer had to say nor answering any of this writer’s questions. As Prosecutor Kathryn M. Keena entered the conference room, this writer turned to leave the foyer of the courtroom but was blocked by the egress of others from the court room and patiently waited his opportunity to exit the door. While this writer was standing their facing the exit door waiting for an opportunity to leave, the lying POS Prosecutor Kathryn M. Keena made a FALSE REPORT to a Bailiff that I tried to follow her into the conference room. Lying POS Prosecutor Kathryn M. Keena ordered the Bailiff to have me removed. This writer protested that POS Prosecutor Kathryn M. Keena was lying, and that the Bailiff himself and others had this writer standing near them patiently waiting to leave the foyer. Others advised me to give up my protest and this writer left the foyer and the building. Once again, Dakota County MN Courts had succeeded in preventing this writer from verifying the truth of their corruption and publishing it for the world to see. The alleged Court rules require that a Judge not do anything that might give the appearance of impropriety. Further, there is a requirement in the rules that says the “Finder of Fact” (Judge or Jury) allegedly can only consider facts and evidence on the OFFICIAL COURT RECORD. (When this writer says alleged, it mean that, in the writer’s opinion, the Courts so frequently ignore them one must question if they actually are adhered to or not. Next, we move to the departure from the Rule of Law (aka Abuse of Power and/or Abuse of Discretion) in alleged jury rigging. In jury selection, the judge is supposed to disqualify jurors for a variety of reasons such as they are a friend or relative of one of the parties, that they are already familiar with the case, or they state have already made up their minds as to guilt or innocence, etc. This writer wanted to ask if any of these allegations regarding the Sandra Grazzini-Rucki matter were true. POS Prosecutor Kathryn M. Keena use the arrogant Progressive tactic (http://bit.ly/1mvmoB3) of having reporters not submissive to the Courts, booted. Therefore, it is necessary to say it is alleged Judge Karen Asphaug failed to remove a person who said they read the article, knew about the case, felt that Sandra Grazzinni-Rucki was guilty and would be surprised if she was not found guilty. Another allegation is that a potential juror admitted he had recently attended a party of a relative of David Rucki and was familiar with the case. Judge Karen Asphaug failed to disqualify either prospective juror, in the later case Judge Karen Asphaug said the potential juror’s assurances that they could remain impartial were sufficient to prevent her from disqualifying them. If you are the Defendant, “How impartial do you think these two jurors are going to be?” This is your life on the line here, should you be afforded every appearance of neutrality and fairness? And lastly, there is the allegation in the Sandra Grazzini-Rucki matter that the Court is Fact/Evidence shaping the Sandra Grazzini-Rucki case. As was mentioned earlier, the only facts and evidence the Finder of Fact (in this case the jury) is supposed to use in making its finding is the facts and evidence on the OFFICIAL COURT RECORD. Over time our courts have enacted a series of rules and precedents whereby they can include or exclude facts from the OFFICIAL COURT RECORD (let or keep the jury from seeing/hearing). In effect, judges can determine (fix) the outcome of any trial (or any other court proceeding) by only allowing on the OFFICIAL COURT RECORD those facts and evidence which support the desired outcome. In the Sandra Grazzini-Rucki Matter, there is an allegation that Judge Karen Asphaug has purposely and wrongfully excluded and attempted to exclude facts and evidence from the OFFICIAL COURT RECORD which demonstrate Sandra Grazzini-Rucki reasonably feared for the health and safety of her children from their father David Rucki. One single event/fact has cemented this writer’s belief in Sandra Grazzini-Rucki’s representation that she feared for the lives and safety of her children. It has been alleged that at some point in all of this David Rucki gathered the family around a kitchen table. Sandra Grazzini-Rucki alleges that David Rucki threatened to kill all of them and then himself. In the opposing version David Rucki only threatened to kill himself in front of the entire family gathered around the kitchen table. In this writer’s humble opinion, regardless of which version is true, this event also cemented the Parental Alienation of David Rucki’s children towards himself. That some version occurred is a matter of relevant fact. You can hear David Rucki in his own words try to spin the event to his best advantage in this newscast. (https://youtu.be/qVaXS_neu2E at 4m 45s to 5m); http://bit.ly/2aeUHWr 4m 50s to 5m 3s) David Rucki’s admission of some version of this event is what cements in this writer’s mind that Sandra Grazzini-Rucki reasonably believed her children were in danger, and when the legal authorities failed to act in accordance with the Rule of Law, Sandra Grazzini-Rucki was forced to assert her own UNALIENABLE NATURAL RIGHT TO SELF-DEFENSE and act to protect her children from her reasonably perceived threat from their father. It is important to remember went to the Courthouse yesterday and tried to make inquiries and ask these questions so he could assert them as facts rather than allegations. But POS Prosecutor Kathryn M. Keena resorted to Progressive tactics to keep rank and file Americans ignorant of the systemic corruption of the Dakota County MN Courts. Before the case against this writer was dismissed for being bogus, Judge Karen Asphaug ruled from the bench that the case should be heard by a Judge from a different jurisdiction as it involved Bailiff’s who work closely with Judges. This writer alleges that later Judge Karen Asphaug was instructed by former US MN AG and current MN Supreme Court POS Justice David “The Bag Man” Lillehaug (aka Killehaug) to cooperate in fixing the criminal case against this writer for political reasons and in furtherance of an ongoing criminal conspiracy against this writer. Dakota County lined up 4 Bailiff’s/Sheriff’s Deputies to perjure themselves against this writer by saying he disrupted the Court and was guilty of “Disorderly Conduct”(while they believed no video existed). For months, the POS Prosecutor Dan Fluegel insisted all exculpatory video tape was destroyed. Only when this writer produced written correspondence from the Dakota County Sheriff’s Department confirming this writer demanded the video tape be retained within days of the incident, did some of the exculpatory video tape appear and the 4 Bailiff’s/Sheriff’s Deputies willing to perjure themselves slink away(Yet not fired or punished). Only this writer’s appeal to the Minnesota Appellate Court along with a copy of the Court transcript forced Judge Karen Asphaug to make sure a Judge from another jurisdiction was administratively assigned to this writer’s case. You can read more about that here: Don Mashak Notice of Claims to Dakota County MN 10_09_2015 (http://bit.ly/2aeZfgy) You can also learn how a Sheriff’s Deputy can “Blow someone’s face off and the Union will have him back on the job the next day”. So arrogant and above the law is Dakota County MN, that even though they are required by law to perform an investigation and provide a copy of the findings when a Notice of Claims is filed, they simply refused to comply. And apparently no government agency exists to force them to comply. So now, you understand why when Dakota County MN Courts and Judge Karen Asphaug are accused of departing from the Rule of Law(aka Abuse of Power and/or Abuse of Discretion), this writer has special qualifications for assessing the validity of those allegations. Really, Judge Karen Asphaug, you are going to put a woman in jail for being forced to protect her children when the police and legal system failed her? Really Judge Karen Asphaug, you don’t think your oath of office requires you to do something regarding Judge David Knutson requiring Sandra Grazzini-Rucki’s Lawyer to defend her client handcuffed to a wheel chair without notes or client her client present? When will you act to “avoid the appearance of impropriety”? Judge Karen Asphaug, there are so many other, “Really?” type posits, but in the end Judge Karen Asphaug, Is this what you really want to be known as? Its up to you, Judge Karen Asphaug; HON or POS? It is apparent from my one interaction with POS Prosecutor Kathryn M. Keena, she is in the habit of flippantly lying and ignoring her oath of office and should never be known as HON. 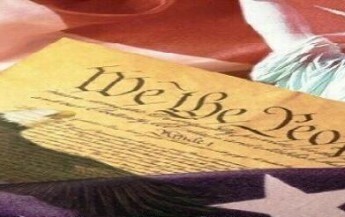 In closing, as I believe that WE THE PEOPLE are in fact the equals of the arrogant Progressive POS’s [despite Progressive Educated Elite assertions to the contrary (http://bit.ly/1mvmoB3)], I believe WE THE PEOPLE have the right to judge them for their failure to answer our questions and provide documents we request. And, I further assert WE THE PEOPLE have a right to view these refusals in the manner prescribed by the US Supreme Court. The Finder of Fact (You and I) may presume that the failure of a person (POS Prosecutor Kathryn M. Keena/Judge Karen Asphaug/Judge David Knutson) to answer questions and/or produce documents may be interpreted as an indication that their truthful responses would have been detrimental to their legal position. POS Prosecutor Kathryn M. Keena refused to answer my questions and lied, to prevent the Press from exercising its First Amendment Right of Freedom of the Press. This writer never got a chance to query Judge Karen Asphaug. Others have tried to query Judge David Knutson, unsuccessfully. This writer gives POS Prosecutor Kathryn M. Keena and Judge Karen Asphaug until 6pm CDT 28 JULY 2016 to respond to these allegations or summarily, WE THE PEOPLE may judge them to be accurate and true, in accordance with the rules the US Supreme Court that apply to anyone of WE THE PEOPLE when we appear before them. Judge Karen Asphaug is aware of my contact information from her previous court related departure from the Rule of Law (aka Abuse of Power and/or Abuse of Discretion). My fellow Americans, this writer hopes this article helps you all in forming a truer Perspective of Reality that permits us, as equals, to unite together and make our Government once again accountable to WE THE PEOPLE. Millennials and GenX’rs, as I have promised you elsewhere, you now have a better handle on the true nature of our Government and Courts. Keep fighting the good fight! Government and Courts; Please take note, WE THE PEOPLE shall include lack of proper redress of our concerns in this matter, and our future Third Declaration of Causes (http://bit.ly/NewDOCRev1), in determining if and when it is appropriate for WE THE PEOPLE to withdraw our CONSENT TO BE GOVERNED. This article was written by Don Mashak alone without seeking advice, direction or permission of anyone else. I alone am responsible for the content and publication of this article.